Brian grew up in Ohio, then moved to northeast Georgia for college, and has lived in various parts of the Southeast ever since. He is a graduate of Toccoa Falls College and Erskine Theological Seminary. 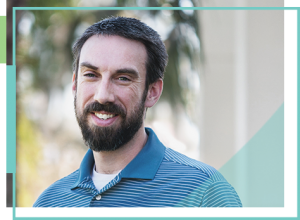 After completing seminary in 2002, Brian served as associate pastor in two different churches in NC and SC. Since 2013, he has served as lead pastor here at Lake Morton Community Church. His passion is helping people connect the riches of Christ to the realities of life through preaching, teaching, small group ministry, one-to-one discipleship, and pastoral leadership. Brian and his wife Kristen have been married for 18 years, and have three children, Maggie, Isaac, and Ian. He enjoys spending time with his family, reading, hiking, and pulling for the Clemson Tigers. Andrew was raised in Illinois—the part that’s not in Chicago—and even graduated from the University of Illinois. He has since strayed far and wide from his home state, most notably spending several years in the Middle East, where he learned to speak Arabic. (He currently teaches Arabic language at Florida Southern College.) His wife Kari is a locally grown Florida girl, and the couple have called Lakeland home since 2012. Over the years, Andrew has worn many hats: middle school teacher, gym trainer, orchestral trombonist, sports camp coordinator, seminary student, math tutor, ditch digger (seriously), and more. Nevertheless, he has regularly found opportunities to serve in ministry, especially with youth. He has a heart for discipleship, namely, in helping people know peace and joy in the goodness, wisdom, and power of Christ. Christina Needham spent her childhood in Las Vegas and California before landing in Lakeland, Florida, just in time for middle school. She and her family found a church home at Lake Morton Community Church where her love for church music evolved. 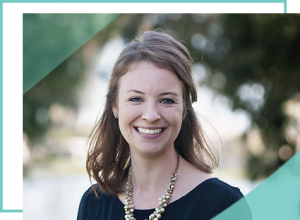 Christina studied Choral Music Education and piano at Florida State University, where she also met her husband, Paul, in a campus ministry praise band. Christina and Paul lived in Alexandria, Virginia for two years before moving back to Lakeland in 2012. She is passionate about arts education and has enjoyed serving the Lord through her role as a music ministry leader at LMCC since 2014. Christina and Paul enjoy getting out to live music, weekend excursions, and going on adventures with their three young children, Norah, Ezra, and Owen. Our administrative assistant is in the office every Tues.—Thurs., 9:00 am – 1:00 pm and is eager to assist you with church-related needs. You can contact the church office via phone at (863) 686-5919 or via email at contactus@lakemortoncommunitychurch.org. Lake Morton Community Church is an elder-led church. We believe the scriptural precedent for church leadership is that of a plurality of elders (Acts 11:30; 15:2,4; 21:18). Biblically, the pastor is one of the elders who is called to lead in the area of preaching and teaching (1 Timothy 5:17). While he is called to a unique role of leadership and influence, the pastor holds no more authority than any of the elders. The leadership of the church is carried out by the plurality of elders, as they together seek the Lord’s wisdom and direction. Character – They are men who reflect a love for Christ, a love for people, an earnest pursuit of holiness, and spiritual maturity. Their lives are grounded in the Gospel of Jesus Christ. Competency – They are men who demonstrate an ability to shepherd and care for others. They know the Scriptures and basic doctrines of the Christian faith, and are capable of applying them to people’s lives. Chemistry – They are men committed to preserving the unity and peace of the church. They are willing to lay aside personal agendas and work as part of a team of leaders. They love the glory of God, the integrity of the Gospel, and the good of the church more than their own preferences. The office of deacon was established in the early church to oversee ministries of mercy in the church, and to free the elders to focus on the ministry of the Word and prayer (Acts 6:1-7). Deacons are called to exhibit all the same character qualities as elders, but are not required to be gifted in the area of teaching (1 Timothy 3:8-13). These are faithful men of godly character who show Christ’s compassion through tangible acts of mercy. In the New Testament, there were women described as deaconesses of the church (Romans 16:1). While this was not an authoritative office in the church, it indicates that women who were gifted in this area were raised up to serve the needs of the church through unique works of mercy and care. In our church, the deaconesses oversee several ministries of bereavement, hospitality, fellowship, and care.